Ascona resembles a tranquil fishing village and exudes a Mediterranean air with it's pretty streetside cafés and the romantic old town. 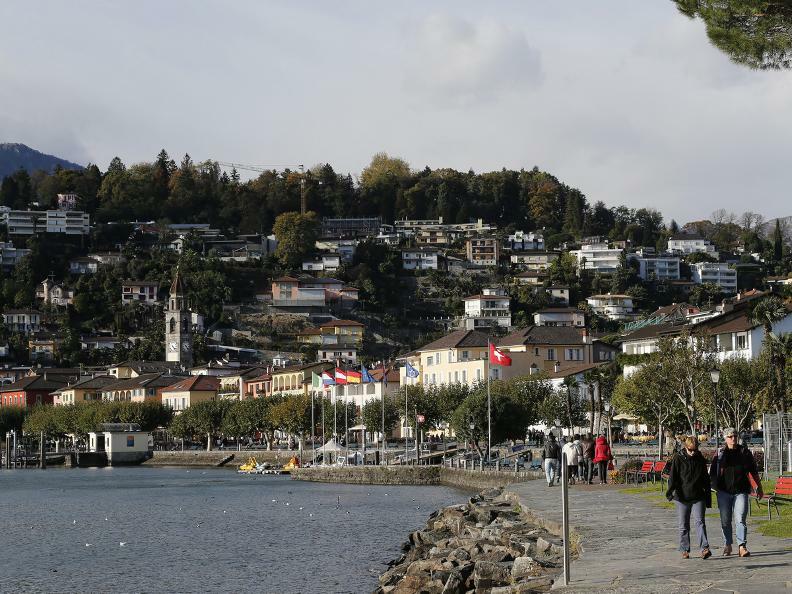 This route shows you this small town and the wonderful Lago Maggiore lake at their best. 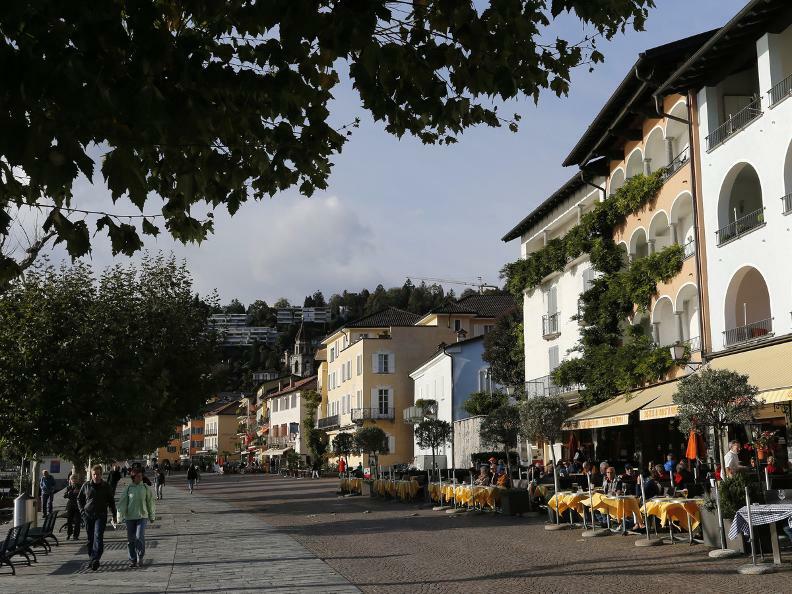 The start of the tour leads through the narrow side streets of Ascona directly to the boat landing stage. As soon as you reach the beautifully landscaped, wide lake promenade, you realize why this sun-kissed, old town is a highly popular holiday destination. The views of the lake's glistening waters epitomize the Mediterranean ambiance and the houses and small cafés are lovingly maintained with great attention to detail. The path leads past the lido to the golf course with it's beautifully manicured grounds. Numerous park benches dot the tranquil lake shore. The route leads round the golf course and returns along the same path. En route you pass Ascona's landmark church with the tall bell tower. It is well worth lingering to savour what Ascona has to offer. The resort is often described as the "Pearl of Lake Maggiore" – and with good reason. This small town attracts many visitors, and it's privileged location, Mediterranean flair, mild climate, historic and cultural treasures and strong sense of hospitality make it simply worth experiencing.